WorkKorean digital print. Trouser – pure cotton (black color). Orna – Korean digital print. Biscuit, black, mastered. Colorful Pakistani 3 piece set made of glossy lawn fabric. 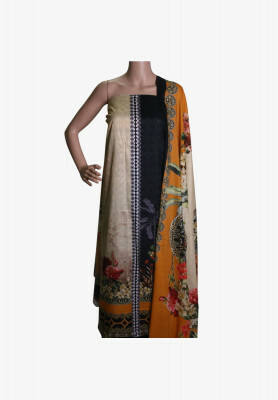 Comes with brilliant Korean digital print design on multi-colored top with pearls. 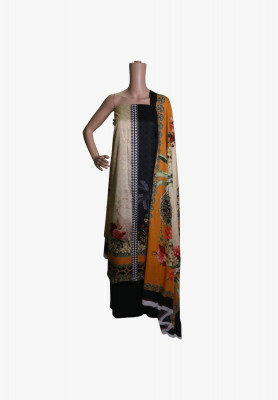 Digital print dupatta and pure cotton trouser are great compilments to the overall outfit. Best choice for attending receptions.